Illustrated lectionary readings at Vanderbilt Divinity Library: Year A, Year B. Year C.
American Baptist Churches Revised Common Lectionary Readings. Working Preacher commentaries of RCL texts Luther Seminary, 2019. Faith in Process, Paul Nancarrow, 2019. "Consumed by the Fire of a Star," Kathryn Matthews, Sermon Seeds, UCC. 2019. "A Far Journey: Epiphany, Baptism of Jesus, and a Decade at The Painted Prayerbook", Jan Richardson, 2017. Pulpit Fiction, plus podcast. Reflections of lectionary text, pop culture, current events, etc. Robb Mc Coy and Eric Fistler, 2019. The Lectionary Lab, Epiphany, the Rev'ds Dr. John Fairless and Delmer Chilton (aka "Two Bubbas and a Bible"), 2013. Lectionary Lab Live podcast. Girardian Reflections on the Lectionary, Epiphany, by Paul Nuechterlein & Friends. What Epiphany Means, Dr. Mark D. Roberts, Patheos. The African American Lectionary, Holy Communion and Epiphany, 2010. Jesus Now, Epiphany. Lectionary, study and worship resources from Faith Futures Jesus Then & Now. "Gathered at the Light," Bob Cornwall, 2019. "Fear or Faith," Glenn Monson, Law & Gospel Everywhere, 2019. "Epiphany Light," Sermon Stories, 2019. "Look! Up in the Sky!" Lynn Miller, Art & Faith Matters, celebrating our creative and living God by generating art and architecture resources for congregations and individuals. Art and Faith Matters facebook page contains additional resources. Lectionary Notes, Fred Horton, 2019. Preaching Tip, Bob Eldan, 2019. "Perspective," Michael Ruffin, Connections: Next Sunday Resources, 2019. "Not Your Average Christmas Pageant," Colin Cushman, Modern Metanoia, 2017. Ekklesia Project Debra Dean Murphy, 2016. Ponderings on a Faith Journey Bob Cornwall, Ponderings on a Faith Journey, 2016. A Different Heresy Peter Lockhart, A Different Heresy, 2016. Signs of the Times, Ken Sehested, prayer & politiks, 2016. Peace on Justice, Barbara Born, 2016. "Wise in the Way," Thomas Beam, 2016. Stewardship of Life Sharron R. Blezard, 2016. "I Was Better Than Jesus," Larry Patten, 2016. "The Cowardly Wise Men: A Reflection for Epiphany and the Holy Innocents," David R. Henson, Edges of Faith, 2015. The Star Signal, Andrew King, A Poetic Kind of Place, 2015. "Epiphany in the Details," Lynn Miller, Art & Faith Matters, celebrating our creative and living God by generating art and architecture resources for congregations and individuals. Art and Faith Matters facebook page contains additional resources. "Nativity Politics," Debra Dean Murphy, Ekklesia Project, 2015. "The Road to Bethlehem," Bob Stuhlman, 2015. "An Urban Epiphany," guest essay by Edwina Gateley, Journey with Jesus, Dan Clendenin, 2014. "Gold, Frankincense, and Foreigners, Too," John Holbert, Opening the Old Testament, 2014. "Epiphany: This Brightness That You Bear," Jan Richardson, The Painted Prayerbook, 2014. "Women's Christmas: The Shimmering Hours," Jan Richardson, Sanctuary of Women, 2014. "Epiphany," Walter Brueggemann, at Journey With Jesus. "Darkness and Light and My Son's Need to Know Where the Bad People Go," John Jay Alvaro, Ekklesia Project, 2012. "The Winning Light of God," John C. Holbert, Opening the Old Testament, 2013. 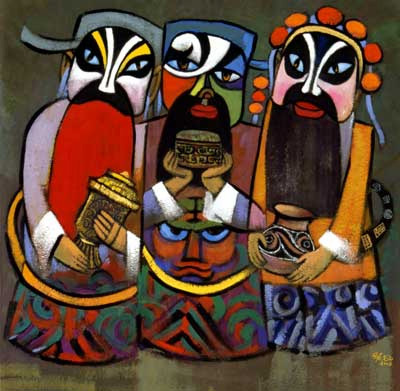 "Blessing of the Magi," Jan Richardson, The Painted Prayerbook, 2013. (Use of images.). "Where's Jesus?" Sharron R. Blezard, Stewardship of Life, 2013. "Who Were Those Guys?" Stan Duncan, Home by Now, 2013. Christian Leadership Center Commentary, Leroy Huizenga, 2013. The Painted Prayerbook, Epiphany: Where the Map Begins, Jan Richardson, 2011. Use of images. "Can We Trust These Foreigners?" Peter Woods, I Am Listening, 2011. "God Made Visible," Ragan Sutterfield, The Ekklesia Project, 2011. Home by Another Road, Epiphany Practices, Bruce Epperly, Patheos, 2011. "Home by Another Way," by Scott Spencer. A Sermon for Every Sunday. Video sermons from America’s best preachers for every Sunday of the Liturgical Year. "The Wise Man," Frederick Buechner. "Who Is This Child?" Weekly Seeds, UCC, 2019. Lectionary Liturgies, Epiphany 2019, Thom M. Shuman, Presbyterian Church (U.S.A.). Mustard Seeds: Epiphany A, Epiphany C, Epiphany B. A lectionary-based ideas resource for leaders of contemporary worship, Ann Scull, Gippsland, Australia. Observing Epiphany on the Sunday Before / An Order for Epiphany Sunday, Rev. Thomas L. Weitzel, Evangelical Lutheran Church in America. "Chalking the Door" Epiphany ritual. Paul F. Bosch and André Lavergne. A home ritual to be used in celebrating Epiphany. Evangelical Lutheran Church in Canada. Epiphany and the Baptism of Christ: Epiphany Story, Holy Communion and Affirmation of Baptism, Epiphany and Baptism of Our Lord: Epiphany story emphasizing the coming of the Light, Holy Communion with Affirmation of Baptism. Lisa Frenz, Mr Carmel Lutheran Church. Worship and Liturgy Resources, Day of Epiphany (Christmas 2), by Rev David Beswick, Uniting Church in Australia. Background and Liturgy for Epiphany and the Blessing of Water at Byzantine.Net (Byzantine Catholics on the Web). Laughing Bird Liturgical Resources, Epiphany, by Nathan Nettleton, South Yarra Community Baptist Church, Melbourne, Australia. Prayers, blessings, Eucharistic prefaces and scripture paraphrases. for the Festivals & Lesser Festivals of the Calendar of the Church of England. The Billabong, Epiphany, by Rev Jeff Shrowder, Uniting Church in Australia: Hymn suggestions and paraphrases of lectionary Psalms. Prayers and Meditations, Psalm 72:1-7, 10-14, Timeless Psalms, Joan Stott. The Timeless Psalms: Psalm 72:1-7, 10-14, Joan Stott, prayers and meditations based on lectionary Psalms, 2016. Reflections on collect prayers, Epiphany, Bosco Peters, Liturgy: Worship that Works - Spirituality that Connects. Prayers of the People, Epiphany, 2016, Richard J. Einerson, sample prayers from Prayers of the People: Pastoral Prayers for Worship and Personal Devotion. Hymn for Epiphany B, 8.7.8.7.D Possible tune: Hyfrydol, Alan Hinton, Disclosing New Worlds, Lawrence Moore, 2009. "Shine," Brenton Prigge, NewHymn, weekly new, relevant hymn set to traditional tunes. "The Wise Men Saw a Light Afar," Rev. Richard R. Chope, The Hymns and Carols of Christmas. Hymns of the Spirit Three, Epiphany, Richard E. Hurst, Universalist National Memorial Church. Hymn and Song Suggestions, Epiphany, 2013, annotated suggestions from Natalie Sims, Singing from the Lectionary. Shepherd Sounds, Epiphany. Background information for hymns and choral music following the lectionary from the Episcopal Church of the Good Shepherd, Austin, Texas, by Eric Mellenbruch and David Zersen. Lectionary Hymns, Epiphany, National Association of Pastoral Musicians. Choral Anthem Project, Epiphany, National Association of Pastoral Musicians. Together to Celebrate, David McGregor, 2019. HermanoLeón Clipart, Epiphany. Free clipart, backgrounds, slides, etc. Clip Art, Epiphany, Fr. Richard Lonsdale, Resources for Catholic Educators. Lectionary Puzzles, Epiphany. Word search puzzles in RTF or plain text, by Reg McMillan, St.Stephen's Presbyterian Church, Peterborough, Ontario. "Looking for God," FaithElement discipleship system "setting the Bible free," 2011. "Star Stickers," video, John Stevens, Dollar Store Children's Sermons, 2014. Worshiping with Children, Epiphany, Including children in the congregation's worship, using the Revised Common Lectionary, Carolyn C. Brown, 2014. 2013. "Storypath: A Resource for Ministry," January 6, 2019, Union Presbyterian Seminary. Epiphany Sunday, John Stevens, Dollar Store Children's Sermons, 2019. On the Chancel Steps, children's resources by Frances Woodruff, 2013. "The Gift of Christmas," Dianne Deming, Children's Sermons Today, 2013. "Drama for Epiphany," Fay Rowland, The Reflectionary, 2018. "The Three Wisemen: A Traditional Play," "The Three Wisemen at Schiphol Airport, Year 2000: A Modern Play," Pastor Edward F. Markquart, Sermons from Seattle, Grace Lutheran Church, Seattle, Washington.